Whether you are teaching guided reading, shared reading, or having students read independently, this post will show you how to build reading comprehension strategies into your instruction. 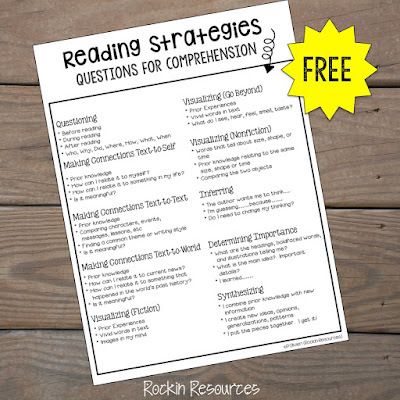 You will also find a FREE Reading Strategies Questions sheet to use with your instruction! 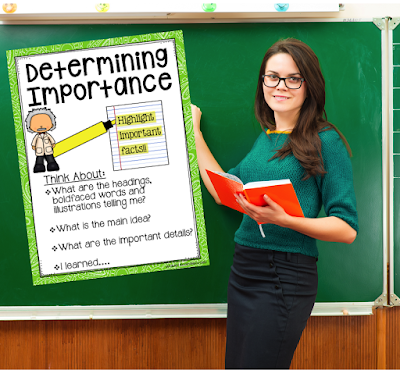 Explain: Whether you are using an anchor chart, writing on a board, or oral teaching, explain each strategy. Model: Always model so students can see how it is applied. 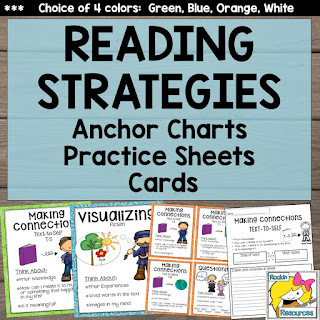 Apply: Students should apply the strategy in their reading. 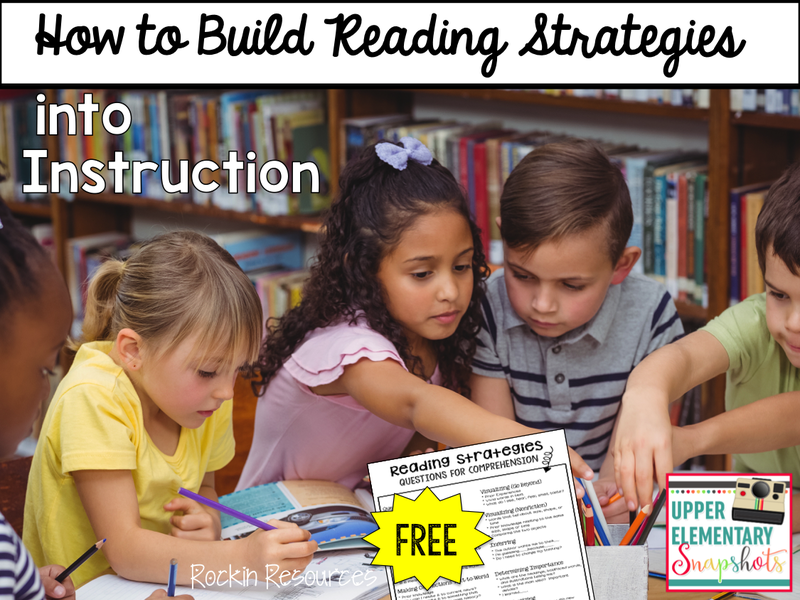 What reading strategies should you build into your lessons? See below for the 10 Reading Strategies that will help your students effectively comprehend their text. Think about questions before, during, after the reading. Ask questions like...How could that be? Why did that happen? The first connection strategy is Text-to-Self. 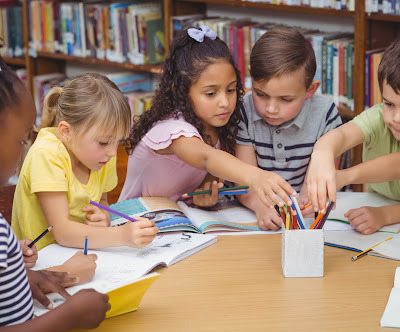 In my opinion, this is the easiest connection strategy to teach, because little ones like to talk about themselves and their experiences. * How can I relate it to myself or something that happened in my life? * Is it meaningful? 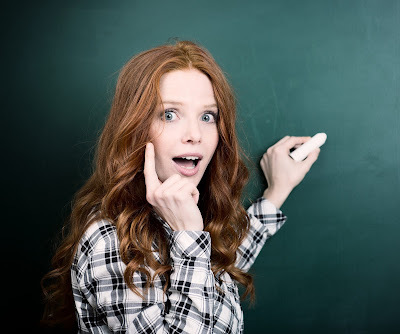 - I like to include this question because children can get off topic or not relate to things that are meaningful to the connection. Text-to-Text can be a little challenging so make sure to model and discuss different books that you have read together in class! * Comparing characters, events, messages, lessons, etc. * Finding a common theme or writing style. Text-to-World can the most challenging of the connections. If children aren't exposed to historical and current events, they might not be able to connect a worldly event to the story. * How can I relate it to something that happened in the world? Visualizing in a fiction text is often different than visualizing within a nonfiction text. Go beyond visualizing in the text! Using the 5 senses is an effective way to achieve this strategy: SEE... HEAR... FEEL... SMELL... TASTE. * What do I see, hear, feel, smell, or taste? In an nonfiction text, often visualizing is making comparisons. * Do I need to change my thinking? 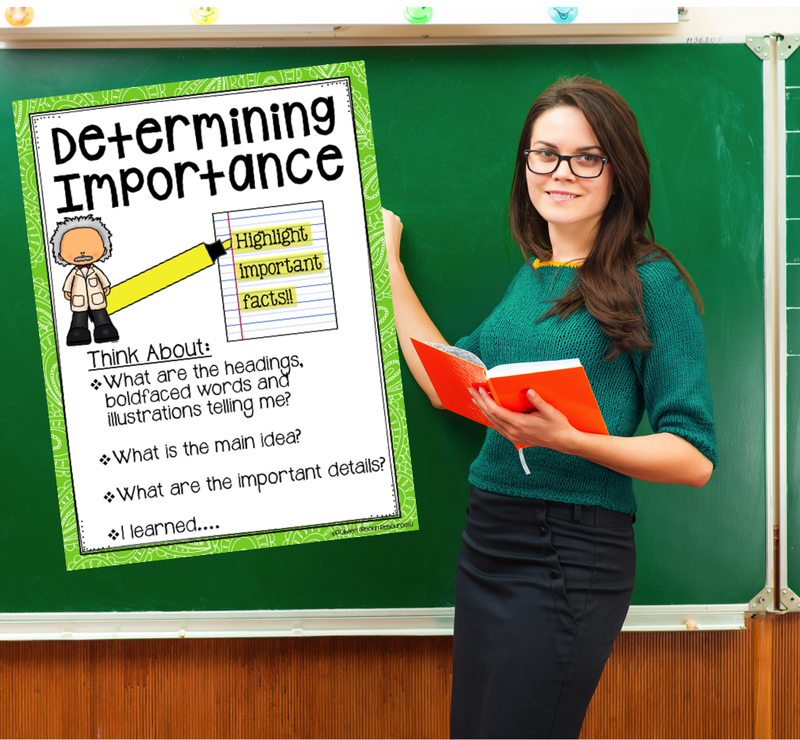 Determining Importance is best learned by highlighting important facts. * What are the headings, boldfaced words, and illustrations telling me? * What is the main idea? * What are the important details? Last, but not least is synthesizing. I find this to be the most difficult strategy to teach children. * I combine prior knowledge with the new information. * I create new ideas, opinions, generalizations, patterns. * I put the pieces together.... I get it! I hope you find these tips useful. Grab the following guide HERE to use during your instruction! 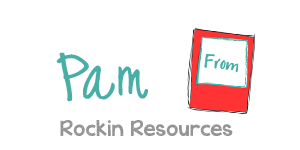 The free resource comes from the READING RESOURCE below.